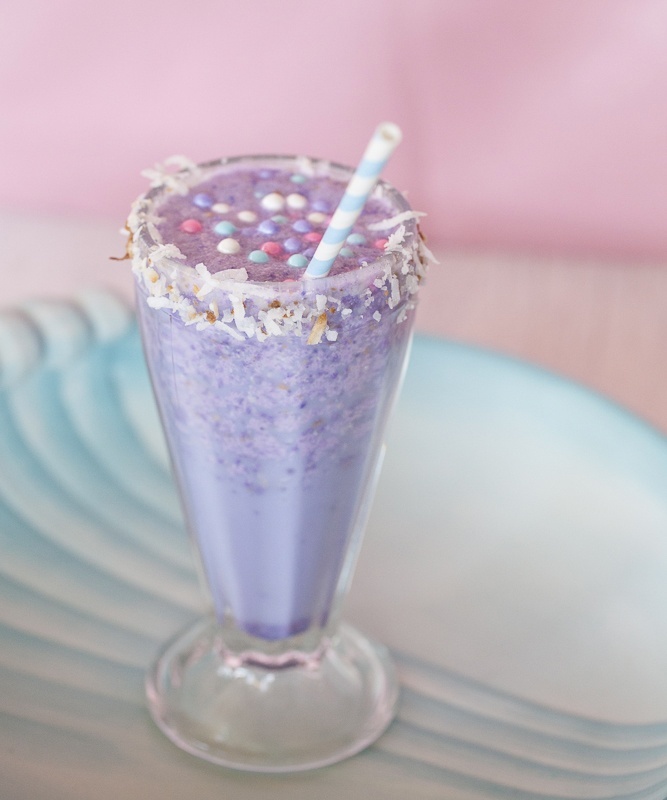 A variation of the Bushwacker glamorized with sparkling sprinkle bits and pearl sugar dragées in tropical hues, this is a seafaring drink said to be invented on a Caribbean island founded by pirates. Ahoy! 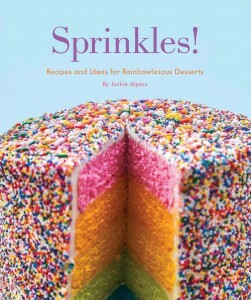 This recipe is excerpted from my book Sprinkles Recipes and Ideas for Rainbowlicious Desserts. *This is any strong rum over the typical 80 to 100 proof (40 to 50 percent alcohol by volume); 120 to 150 proof is standard for overproof rum. Skip this inclusion for a refreshing lightweight cocktail. **This chocolate flavored liqueur contains a hint of vanilla. Preheat oven to 325°F. Sprinkle coconut flakes onto an aluminum foil-lined baking sheet, and toast for 3 to 5 minutes, just until golden. Let cool. Combine 4 tablespoons of toasted coconut flakes, jimmies, crème de cacao, rums, and ice in a blender and process until thick and smooth. Place the remaining toasted coconut flakes in a shallow dish. Dip the rims of two parfait glasses in coconut milk and swirl them in the dish of toasted coconut to coat. Pour cocktails into toasted coconut-rimmed glasses and float a few pearl dragées on top. Serve with a clear straw and watch the pretty bits of sprinkles swirl and ascend up from the bottom of the glass as you sip and enjoy. Is there coconut milk blended into the drink, or is it only used to wet the rims of glasses? Thanks!